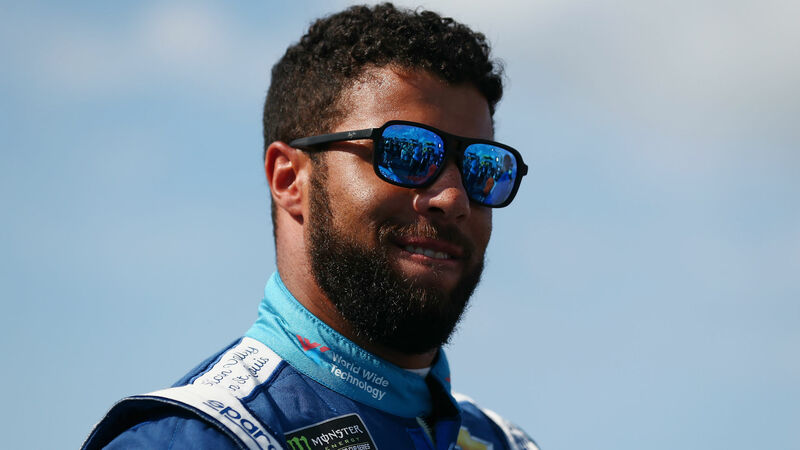 Bubba Wallace escaped serious injury in a scary-looking crash late in Sunday’s Monster Energy NASCAR Cup race at Pocono. Wallace lost his brakes on the front stretch, ran through the grass, then headed straight up the track and slammed hard into the outside wall in Turn 1, destroying his Richard Petty Motorsports Chevrolet. It was a vicious crash, and the moments after the incident were tense as everyone waited for Wallace to drop his window net — the signal from a driver that he is OK. But Wallace couldn’t drop his net right away because the crash had knocked the breath out of him. After he finally climbed out of the car, he sat down momentarily, clearly shaken, before limping to the waiting ambulance. “The EMTs were worried about me not letting the window net down as fast, and I was like, hell, that was the last thing I was thinking about,” Wallace told NBCSN afterward. “I was trying to catch my breath. And they were like, are you sure? I’m like, yeah. Never thought about letting the window net down until I was ready to get out. Wallace said he felt his brakes going out the lap before, and realized the smart thing to do would be to turn right into the wall to scrub off his speed. But he joked that as a race-car driver, he’s used to turning left. “Holy cow,” Wallace said. “The lap before I was holding off the 10 car [Aric Almirola] and went into [Turn] 1 and the pedal started really creeping fast to the floor, and I went, oh boy. So, I let him go by, and then back into 1 again I was pumping it up, making sure, a little courtesy pump, and whew, there she went. She blew up, too much heat. Wallace said he’ll be a little sore and limp for a few days, but everyone watching knows this could have been so much worse. He finished 33rd.